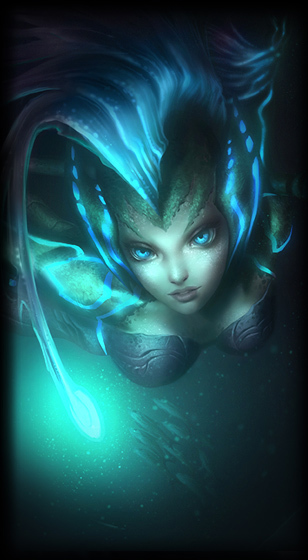 Wonder how to get the Deep Sea Nami Leauge of Legend skin? It is currently in the ingame store, you can hop right in there and buy it right now for Riot Points, the price is showcased in the skin review to the right! Due to the fact that this skin is neither rare or hard to get, we have focused not to write so much about it. Everyone can get it right now if you have the money for it! Deep Sea Nami skin rewiew and information. Model All new models and texture – Nami is now a dark and mysterious creature from deep under the sea! Angler fish have found their way into her /taunt, as well as a giant deep sea fish in her (R) Tidal Wave! Particles All new particles including a jellyfish on her (W) Ebb and Flow! Animations New recall animation, as well as new jiggle animations for the lure on her head! Sounds New sound effects on all spells and recall, and she’s complete with new VO processing (blub blub)!